Barbour Bressay Watch Hat for ladies in pink, grey or linen. The Barbour Bressay Watch Cap is a must have accessory this season. 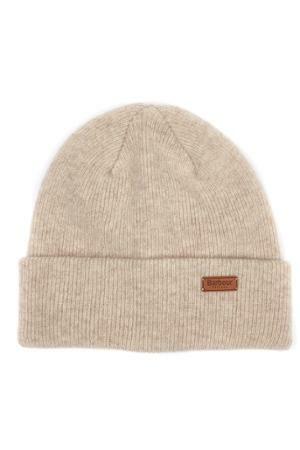 This hat is made from cosy 100% pure new wool and is double layered for added warmth. It features a leather Barbour patch on the cuff and is made in Scotland. Make your choice of; pink, grey or linen from the pull down menu below.SALE!